Here we are again in the liminal space between a delightful term coming to an end and the anticipation of new beginnings in the next. I take the opportunity to say what a pleasure it has been to become a part of Oxley Christian College, and how wonderfully supported I feel. Thank you to our community for your welcome. The past weeks have had the enjoyment of athletics carnivals in both sections of the College, a School at Work morning and camps for three year levels. In addition, the City Cite program is going extremely well and students have readily stepped up to the extra responsibility of independent travel. It is very satisfying to have received a number of emails from the general public complimenting our students on their good manners and behavior in the city and on public transport. Well done families! Also in the past weeks, the College NAPLAN results have been posted on the My School website. Oxley has outperformed similar schools and the national cohort in many of the test areas, and has not underperformed in any area tested. This has been a consistent outcome over some years about which we are pleased. Having said that, the greatest value of standardised assessment like NAPLAN is in the diagnostic data it provides schools for educational improvement. In the months to come, our leadership team will be addressing how we use such data. This post is an occasion to alert our community to the College Open Day on Saturday 6 May. 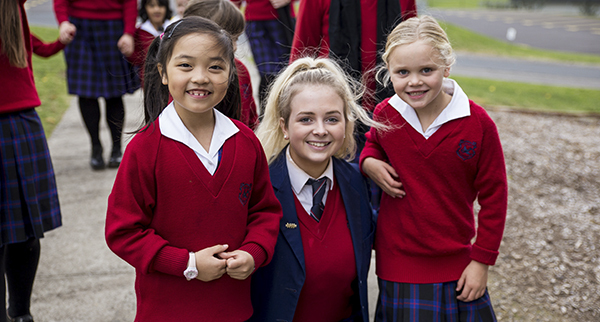 A number of families will be involved as ambassadors for the College and so we encourage people to advertise this great opportunity to visit us amongst family and friends and share in a taste of life at Oxley. Consistent with the year’s theme of delight we have encouraged students to be participating fully in their educational opportunities. We want children to flourish and thrive at Oxley, which in part means developing skills to the highest level possible as a personal best. This is not about student comparisons but neither is it about accepting mediocrity. The experience of awe and success in personal learning, or indeed in any setting, normally leads to enjoyment and pleasure. It’s a natural response! In just one picture of his model, Frankena (Google him!) developed a metaphor of education as a flourishing tree. Its roots are deeply embedded in fertile soil. In our case the roots represent the Christian foundations for education and the soil represents the nature of reality from which is drawn the appropriate nourishment. A Christian view is that a biblical picture of the world provides the reality and context, or soil, for Christian schooling. So then, the tree trunk represents the goals for education, the tree limbs show us the various implications of schooling, and the luxurious mass of leaves displays the diverse and practical outworking of schooling. Whilst such a tree is only a representation, it is a succinct and easily visualized illustration of what it means to thrive. I commend it to you.